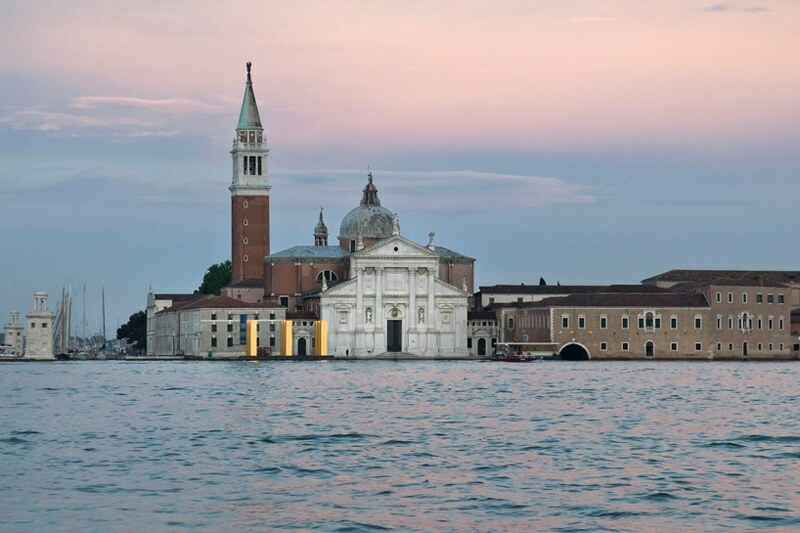 Get a complete rundown of the Venice Architecture Biennale in the latest edition of our e-magazine! 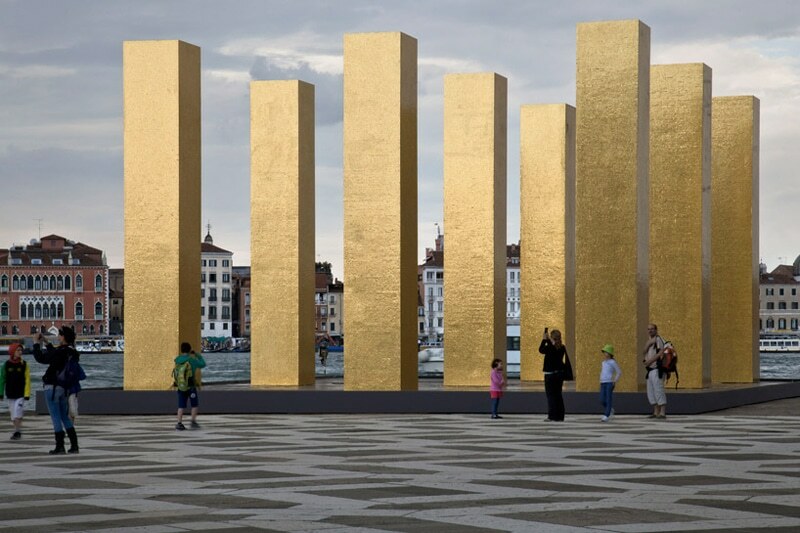 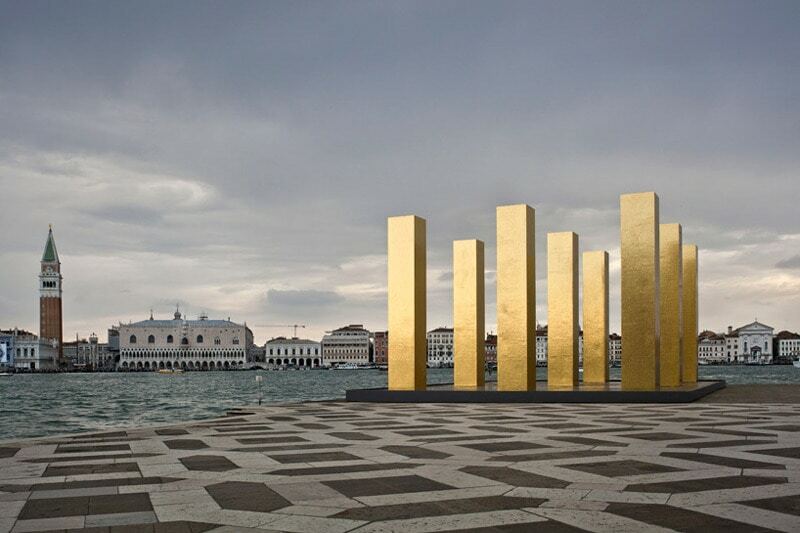 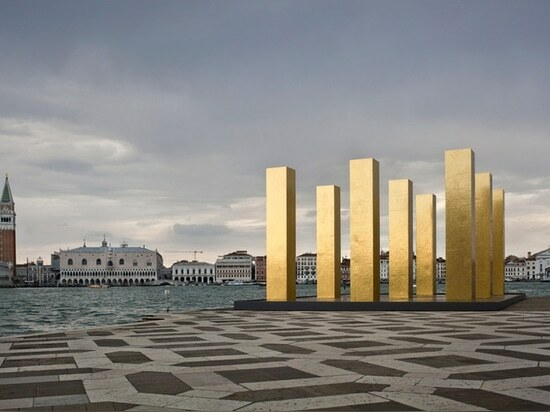 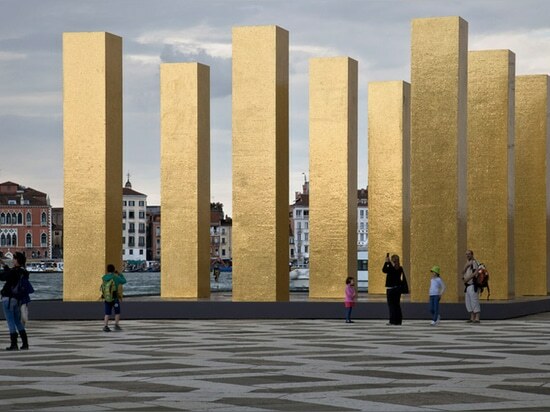 As part of the 14th International Architecture Exhibition in Venice, German artist Heinz Mack created a grid of nine identical golden columns. 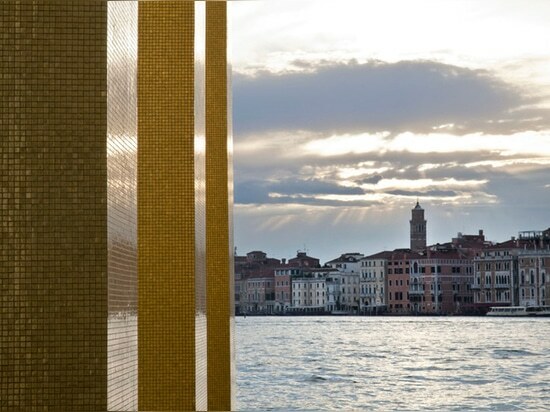 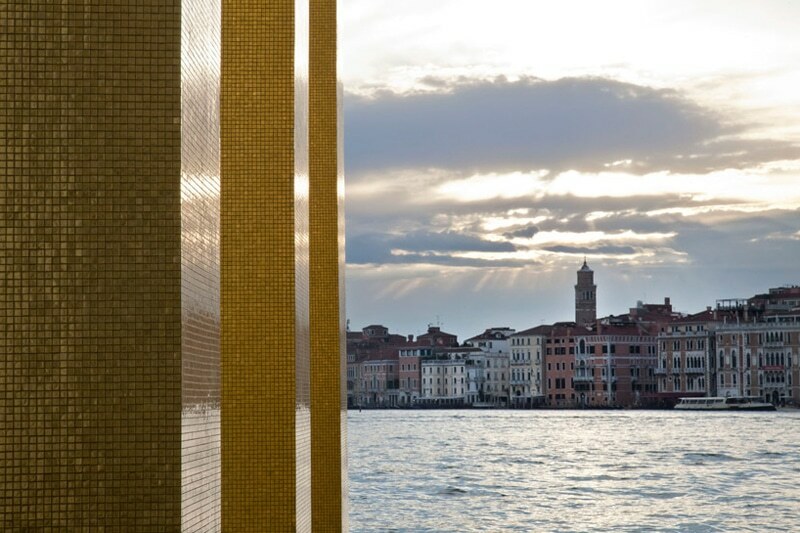 Each column is seven meters high and decorated with over 850,000 light-reflecting golden tesserae that give a nod to Venice’s tradition of artisan and long history as a link between Occident and Orient. 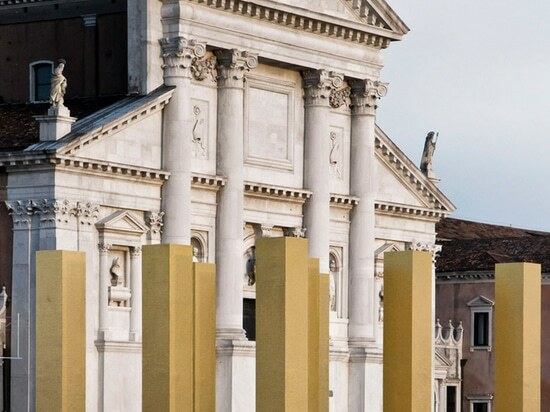 Highlighting the significance of columns in historical and modern architecture, the installation is placed on the island of San Giorgio Maggiore and is visible from the Piazza San Marco. 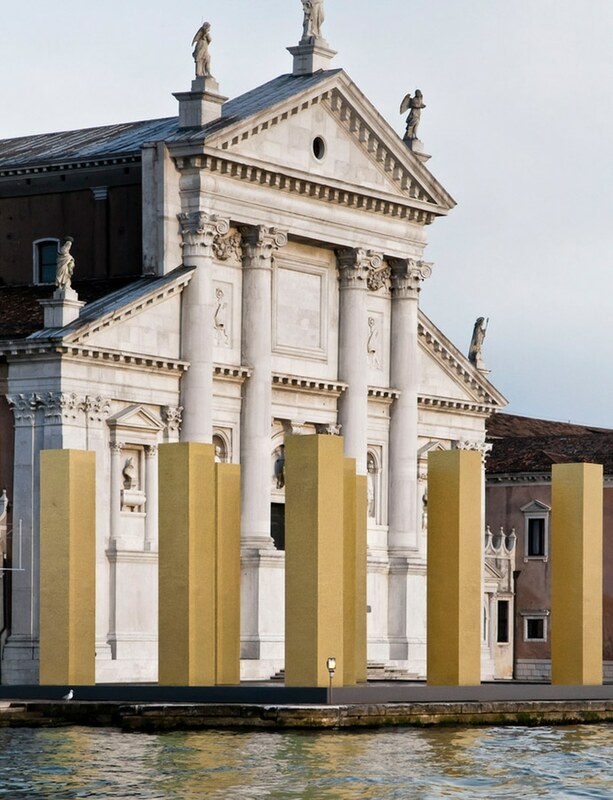 The columns represent the human being standing upright, firmly rooted in the ground but stretching towards the sky and creating a visual link between the two. 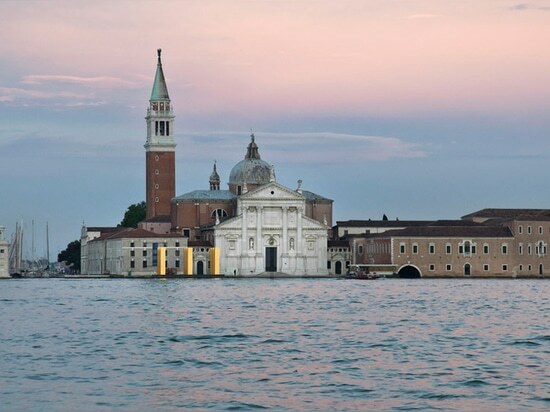 The Venice Architecture Biennale continues through November 23rd, 2014.